Tel Tannim (Tell el-Wawiyat) extends over some 2 a. on a low-lying hill on the northern fringes of the Ḥula Valley, near Naḥal ‘Iyyon; it rises approximately 6 m above the valley. V. Guérin first explored the site. A survey was conducted by Y. Dayan in 1963. In 1985–1987, a salvage excavation was directed by A. Onn, on behalf of the Israel Antiquities Authority; an uninterrupted occupation of 4,500 years was uncovered in 10 strata, ranging from the Early Bronze Age to the Ottoman period. I. Shaked of the Israel Antiquities Authority explored a dolmen field in the basalt hills to the west and south of the mound in 1990 and 1993. In the 1990 season, five dolmens and stone circles were excavated, all of them having been thoroughly looted and containing no finds. Eleven tumuli were excavated in 1993, of which six were burial chambers. 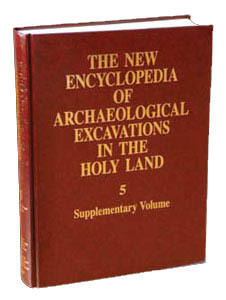 In 1993, another salvage excavation was conducted by A. Onn, R. Greenberg, I. Shaked, and Y. Rapuano on behalf of the Israel Antiquities Authority. Two areas were investigated. In area D, in the center of the mound, a trial trench was opened, extending from the Fatimid fortress (uncovered in the previous season of excavation on the summit of the mound) to the southern edge of the mound. Eleven strata of occupation, ranging from the Iron Age I to the Mameluke period, were distinguished in the trench. In area H, on the eastern slope of the mound, flint tools of the Neolithic period were uncovered, as were remains of the Early Bronze Age I–II, Iron Age I, and Byzantine period.